There’s no need to wait for the weekend for a great night out, instead, plan a Thursday night Liverpool and get that weekend started early at Signature Living. Not only do we have some amazing accommodation offers for fantastic midweek deals, but in Liverpool, the weekend always officially starts on a Thursday. 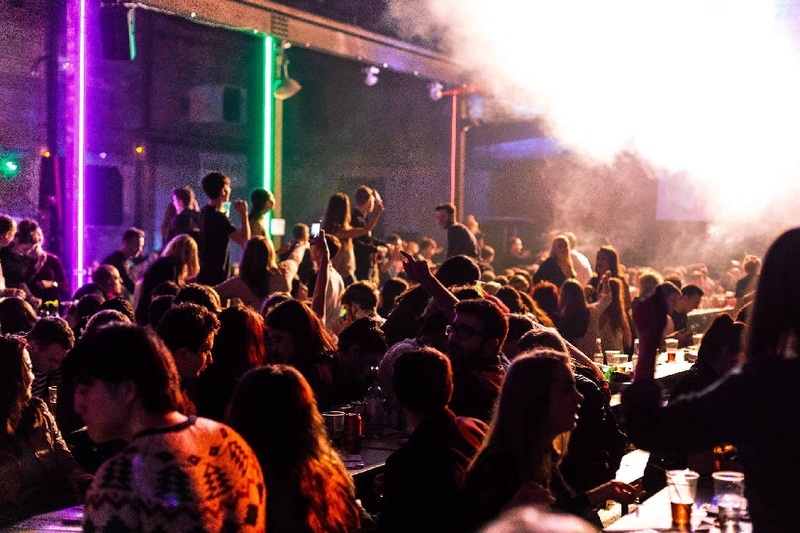 We’ve chosen the best nightlife venues to spend a Thursday night in Liverpool all over the city, no matter what you are looking for there’s something to help kick start the celebrations right here. All of the selected spaces are guaranteed to give you that Friday feeling, only on a Thursday, so let’s take a look, shall we? 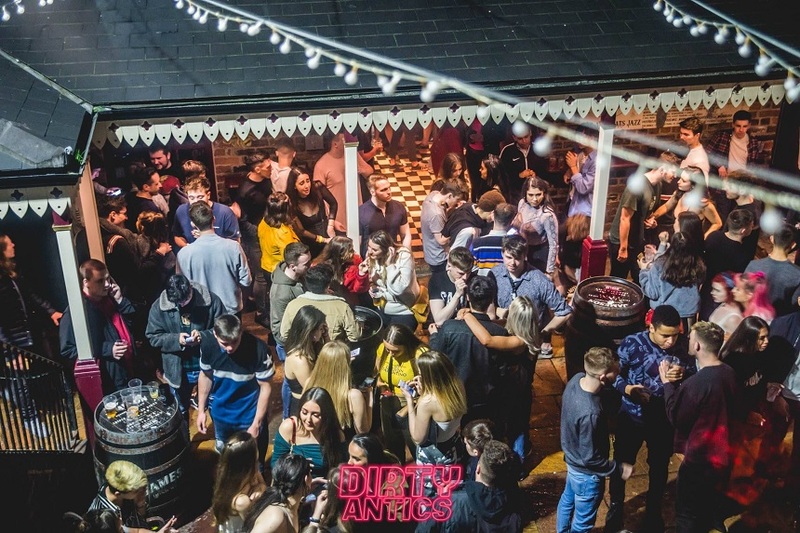 There are some seriously Dirty Antics afoot at Heebie Jeebies every Thursday night in Liverpool, as organisers host a wicked weekly shindig complete with cheap drinks and top tunes to dance too. Choose to chill on the loft level with a trendy indie soundtrack, bump and grind on the ground floor to RnB and Hip Hop grooves or, get down to the basement if you prefer a little tech/house music. 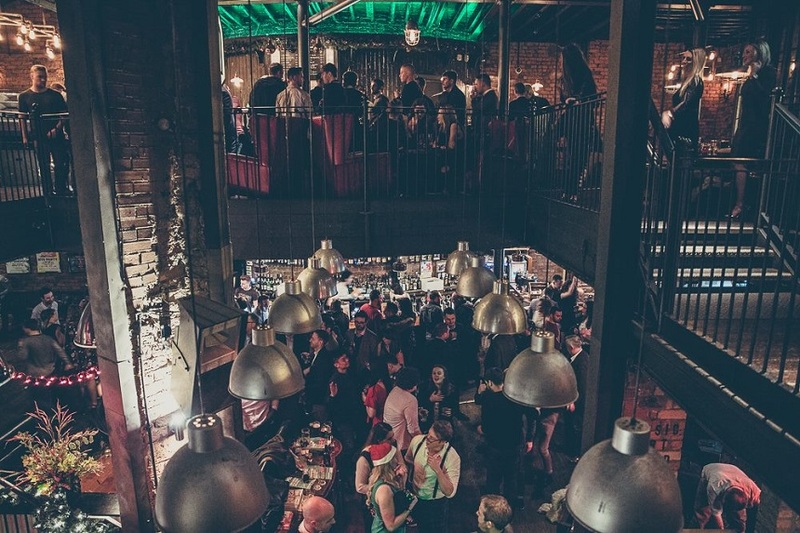 Pay on the door and enjoy a buzzing atmosphere at the heart of the Ropewalks, in one of the city’s top nightlife venues, for a banging Thursday night out in Liverpool. 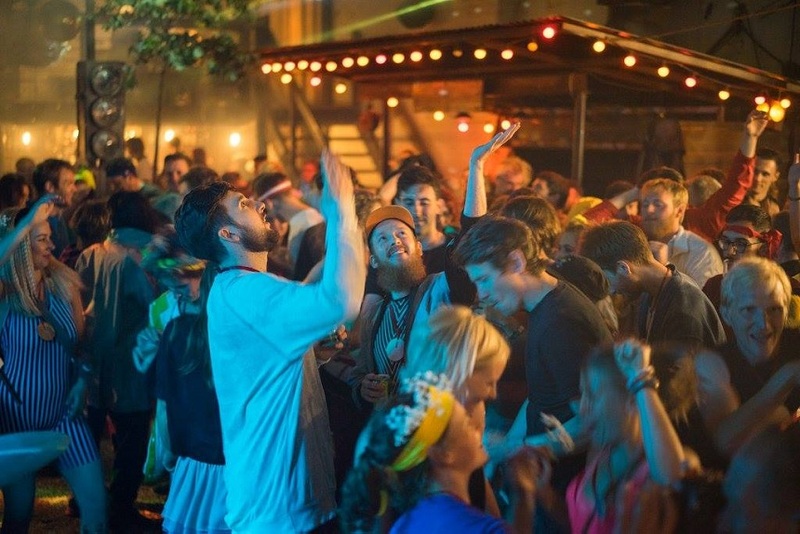 Known among the residents of Liverpool as the number one place to be once the sun comes out, Kazimier Garden isn’t easy to find, but once you do you won’t want to leave. On Thursday night in Liverpool, Kazimier Garden welcomes an innovation in musical entertainment. Introducing the first human jukebox, Ali Horn, who’ll play any, and every song you might be able to think of. 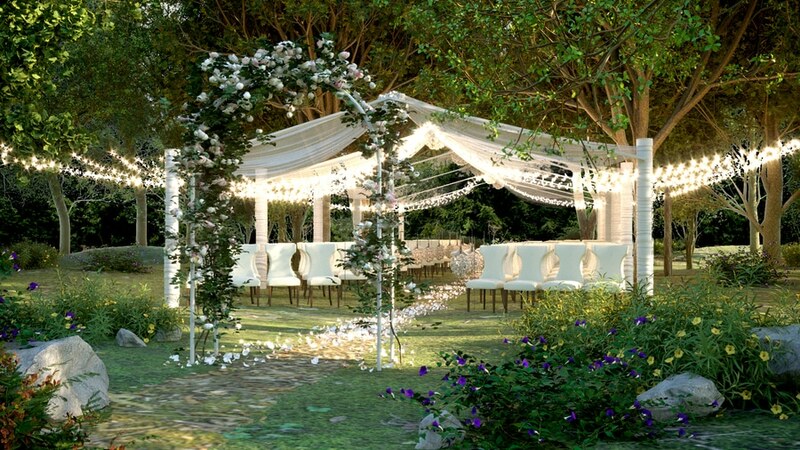 A closed mic, but open requests session, Any Requests invites guests to simply grab a drink, take a seat on their barrel, write down a request, then sit by the fire and soak up the sounds. Fancy yourself a salsa sensation or simply want to start learning how to swing those hips? 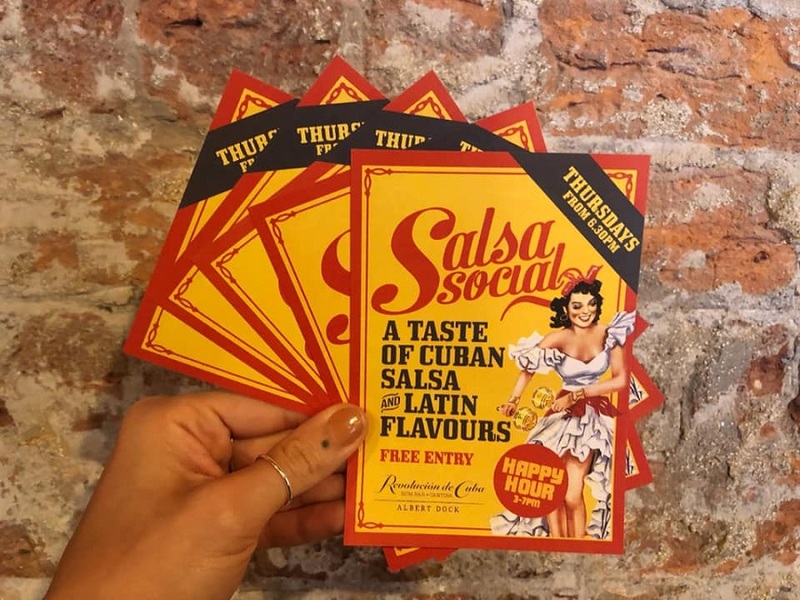 Either way, head down to Albert Dock on a Thursday night in Liverpool where you’ll be schooled in the art of salsa for free. Lessons are provided by an instructor with over 20 years experience, a woman who danced her way across the world to land upon Liverpool’s waterfront. Music will be picked and played by gifted DJ, Jane Salsaldi, whose choice of tracks makes sure the dancefloor is never empty and everyone’s hips and feet keep moving all night long. Beginners lessons start at 19:30 pm, intermediates from 20:30 pm and the salsa party begins at 21:30 pm – 02:00 am. It’s all go, all night at Revolucion de Cuba, every Thursday night in Liverpool. Let’s face it, most of us don’t feel like going home on a Thursday, especially when the clubs and bars in Liverpool do amazing Thursday night offers like Neighbourhood. 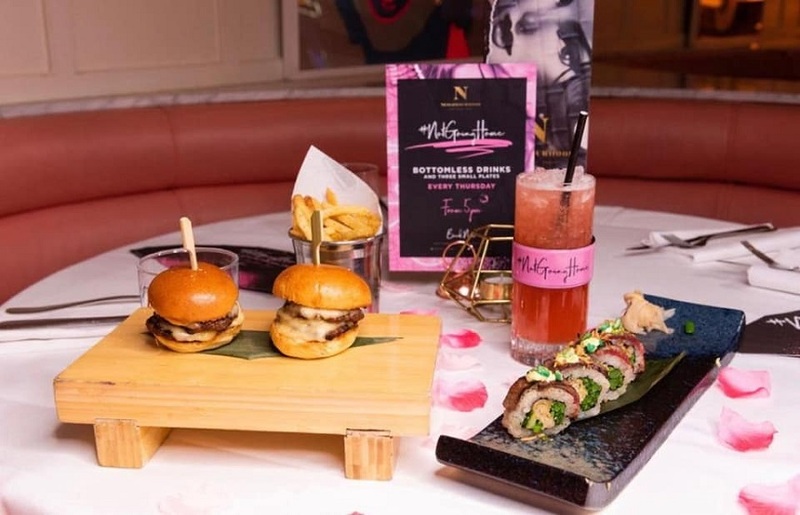 Each and every week, party people can start their weekend early with unlimited Prosecco, Gin, Vodka, Cocktails or Beer and delicious nibbles for only £30 per person. This amazing offer is available for 90 minutes and will be backed by a soundtrack of 90s RnB. From the moment you sit down in Neighbourhood, you’ll be in a great mood for an unforgettable fantastic Thursday night in Liverpool. Yer Ma Listens to Live Jazz at Ma Boyles . . .
. . . and so do we. Get your jazz hands at the ready and make your way to the marvellously mystical Ma Boyles. Tucked away in the shadow of Our Lady and Saint Nicholas Parish Church, down a curious cobbled lane, you’ll hear the sounds of Gypsy Jazz floating on the winds every Thursday night in Liverpool. Brought to audiences from the very talented Amanda Brown and friends, the music on display is of the finest vintage, blues and jazz in the city. It doesn’t hurt either that Ma Boyles also has a fabulous collection of rums and sharing cocktail pitchers, making it the perfect place to spend a Thursday night in Liverpool for cocktail and rum lovers alike. Ever been sitting in the bar, listening to a song from one of your favourite albums on the ‘ald stereo, and all you can think is “the next track is the best one” and then . . . psych, its a playlist love! At LEAF, on classic album Thursdays, there’s no need for such disappointment as they pick an album and play the whole thing through, from start to finish. Giving the people what they want, LEAF provides a soundtrack that’s comfortable, enjoyable and above all predictable. Time to tag along and see which classic album makes the cut on your next Thursday night out in Liverpool. Self-proclaimed dive bar, Motel, are giving every young hopeful the chance to front a band for the night as they usher in Dive Bar Karaoke. Grab the mic, pick your track, cue the band and you are off, becoming the rockstar you’ve always dreamed of being. 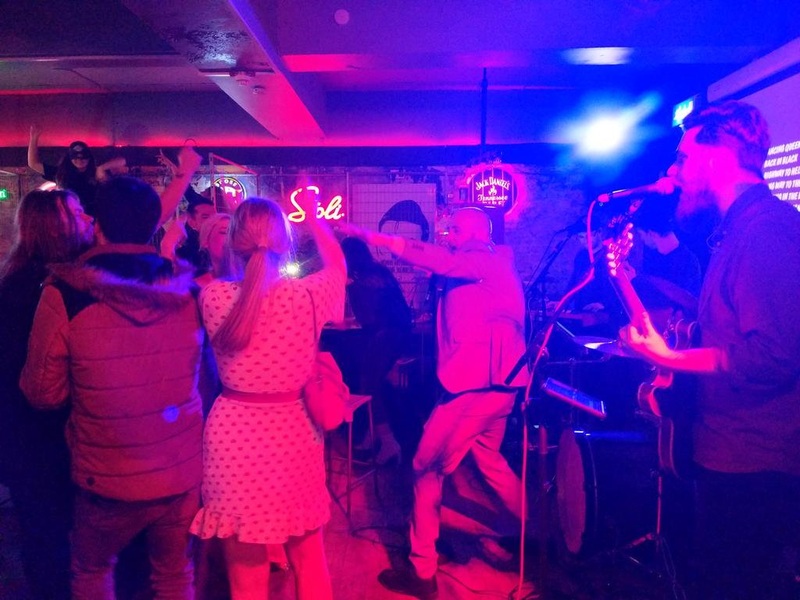 This is your chance to be the centre of attention, the greatest showman or woman, for a fantastic Thursday night out in Liverpool you’ll remember forever, choose Motel’s Dive Bar Karaoke. For as long as there have been things in the world to mock, Sh*t Indie Disco has been there leading the way at Arts Club Liverpool. Join them every Thursday to enjoy a long list of the biggest and best indie hits, and the occasional naughty theme night based on the worlds top trending discussions, interests or social issues. 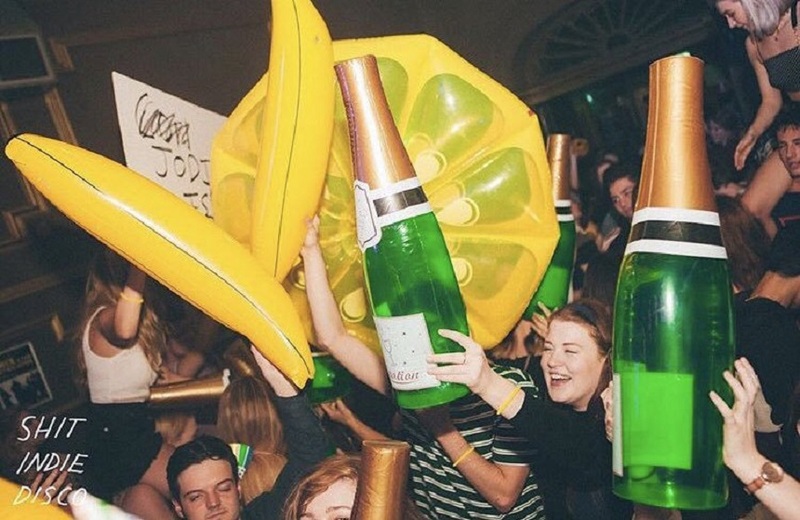 It’s a no holds barred evening of inflatables, confetti cannons, glow-sticks and good times, each and every Thursday night in Liverpool. What’s On at Shipping Forecast? 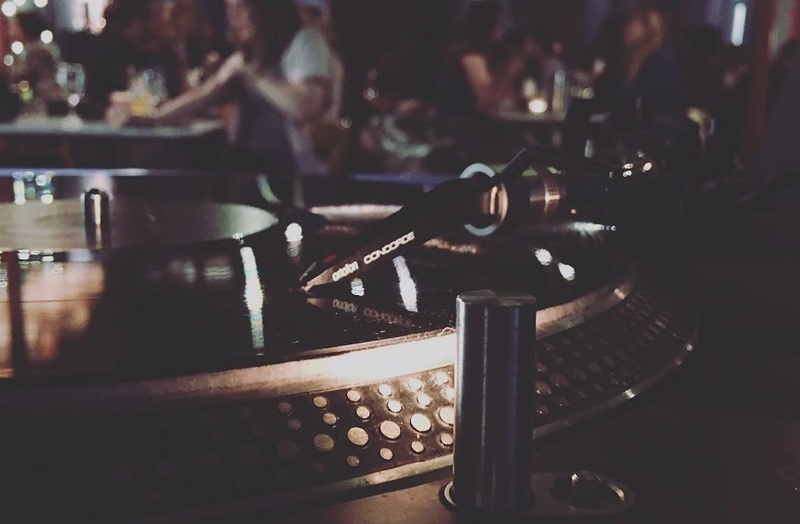 There’s never a dull Thursday night in Liverpool with Shipping Forecast’s jam-packed calendar of upcoming events. Their Thursday nights cover everything from live jazz and comedy nights, to themed quizzes and art workshop pop-ups. No two nights are ever the same, and that’s why we love a Thursday night out in Liverpool at Shipping Forecast. And Let’s Not Forget Bongo’s Bingo! Finally, no Thursday night in Liverpool would be complete without a seat at the world famous Bongo’s Bingo. Now a global phenomenon this widely popular event spread like wildfire, attracting a mixed crowd of party people who love to have a laugh and enjoy a bit of Bingo fun! Tickets still sell out fast for this weekly event and, when there’s a famous retro act on the cards, you’ve got to get in quick to bag your ticket. If you do anything on a Thursday night out in Liverpool make sure you get to Bongo’s Bingo! Whether you’re looking for a big night out, or a few drinks and some live music with your friends, Signature can sort the greatest group accommodation in Liverpool for less than a cab ride home. Our stylish hotel rooms can sleep anywhere from 2 – 28 guests and are found in all the best bits of the city centre. 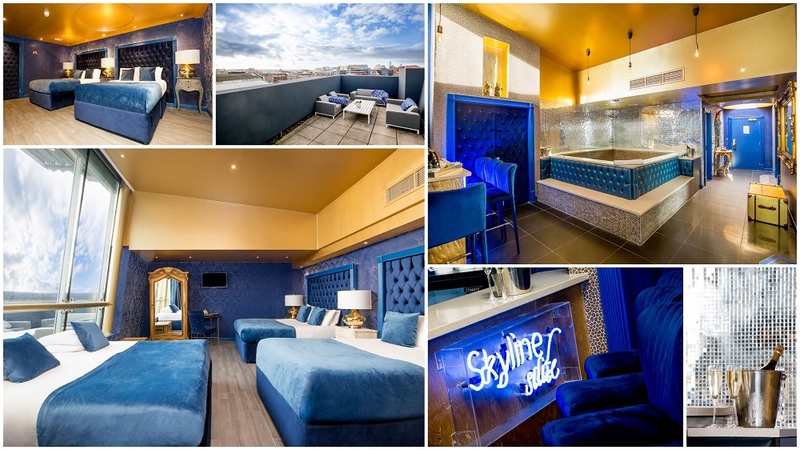 Check out the stunning Skyline Suites that have everything from private balconies overlooking Seel Street, to their very own bar and eight berth mosaic baths. 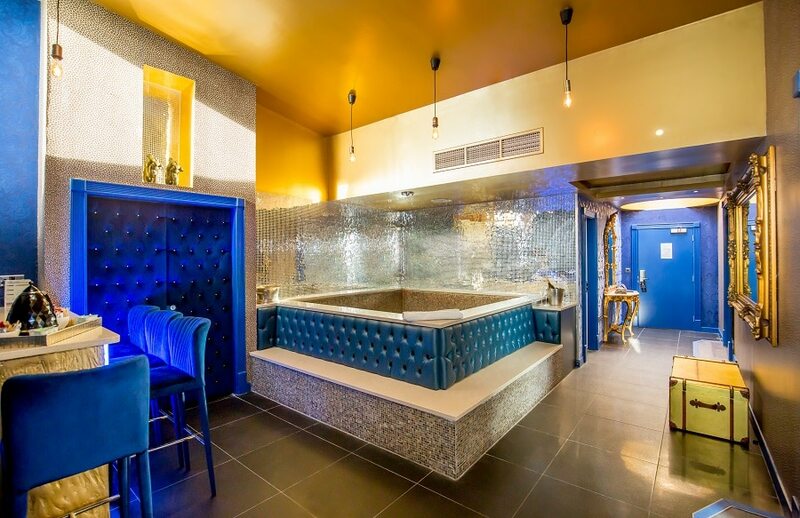 Or if you’d prefer something a bit more glam, book a stay in our amazing Garden of Eden suites that feature fabulous floral interiors and quirky neon signs, the perfect backdrop for a night out selfie. For Thursday nights out in Liverpool, and any other night for that matter, book a stay with Signature Liverpool for a night away you’ll never forget. 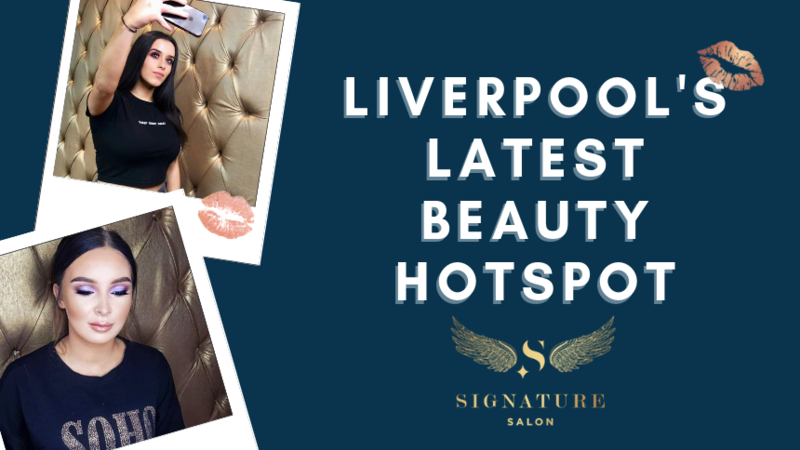 Get in touch with our friendly team today on 0151 236 0166 or email info@signatureliving.co.uk.